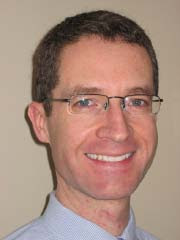 Vital Signs - Management Innovation Blog: Can Relationship Analytics Predict your Ability to Pay? Can Relationship Analytics Predict your Ability to Pay? What does your relationship network say about who you are and how you will act? What is the connection between your network on the web and a company's strategy to grow their revenues? My bet is on analytics. My bigger bet is that data analytics is the next competitive weapon in the era of integrated big data. Having information systems today that create and store transactional data in massive data warehouses (i.e. "big data") is just table stakes. Companies are in a global data race and the first ones to integrate externally available data with their internally generated data will gain unique competitive advantage. Once they have the data integrated, these future analytical competitors (read about the analytical ninjas they are hiring in this Wall Street Journal article) will mine it and make better and faster strategic and operational decisions than their competitors. Companies are making big investments into data analytics technologies, processes and skills to integrate data into their core processes. Take for example Visa's ability to predict your divorce: "How Visa Predicts Divorce". The article vividly describes Visa's able to mine your purchases and predict if your life's about to change. Let's take a look into the not-so-distant future. Imagine a bank that can make you a new banking product offer because it knows what you buy and how you are influenced. What about a bank that assesses your credit risk and your ability to pay based not only on your credit score but on the friends you keep on Twitter and Facebook? This is not far-fetched as recent studies have proven strong correlation. Or, maybe the bank knows that you're a high saver and that your friends have recently signed up for a new savings product you'll also like. Instead of waiting for your friends to recommend it, what if the bank proactively marketed it to you? Imagine a car dealership that has mined your relationship network and knows your best friend's sister is highly satisfied with her latest van. The dealership also knows your lease is coming up for renewal and you've recently had your second child. It's time for the next highly targeted offer. Imagine a real estate broker who knows, because she has researched your LinkedIn profile and your home address based on your foursquare.com or gowalla.com accounts, that you've recently changed jobs. She tweets you about a great place you should look at that is much closer to your new job. There's a good bet that you'll consider it and thank the agent for helping you reduce your commute. Real estate has now become an information business. I know this is imminent because companies like Rapleaf are mining the social web and packaging it for sale to consumer-oriented companies. Before changing its website recently, Rapleaf boasted it had amassed a database of some 350 million profiles...and counting. Databases and decisions. Neither of these are found on your company's balance sheet but they are both critical corporate assets for your future competitiveness and your future revenues so they need to be managed accordingly today. 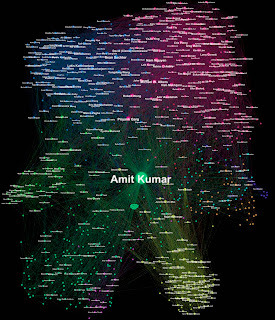 Back to my big bet - data analytics, and the broader business intelligence competence, is the next competitive weapon in the era of integrated big data and always on connectivity. Is your organization ready? Do you have an integrated analytics and business intelligence strategy or are your functional groups working in silos? P.S. 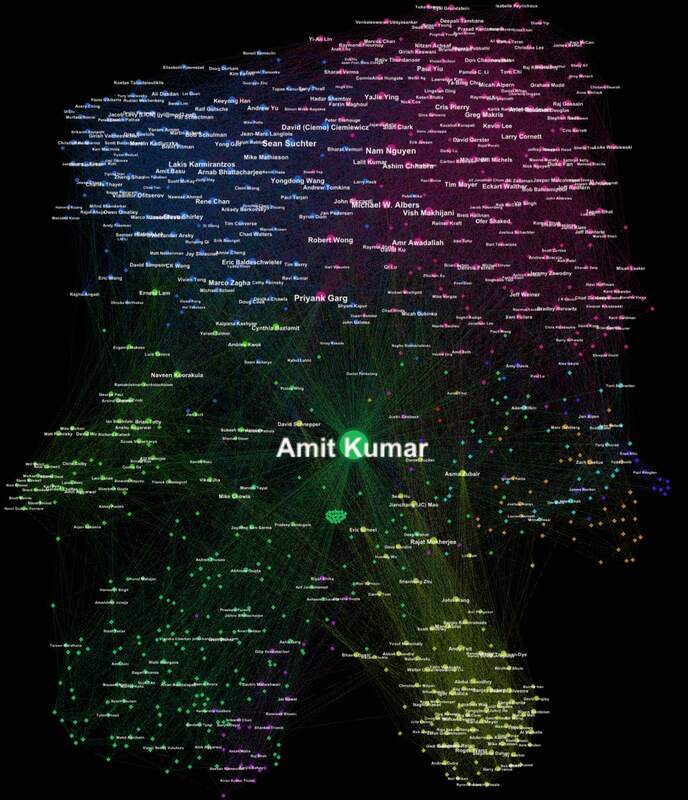 Many thanks to @akumar for sharing his LinkedIn network analysis (picture above) on Twitter!